Can the liberal world order be preserved? 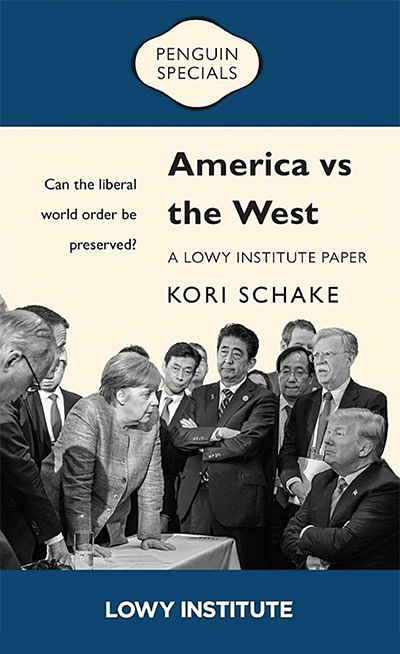 In America vs the West, Kori Schake argues that the success of the liberal order is not preordained. It will have to be fought for, compromised for, and rejuvenated. Can it be done without American leadership? That will depend on the strengths of the major challengers – Russia and China – but above all on whether the West’s middle powers are prepared to band together. America vs the West is available to purchase from all good bookstores ($12.99) and online. An e-book version is also available. The Lowy Institute’s Bligh Street headquarters has a limited number of copies available for purchase at our reception.